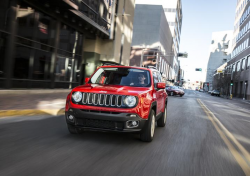 January 11, 2019 — Fiat Chrysler (FCA) will pay more than $800 million to settle charges of cheating on emissions tests of about 104,000 Ram 1500s and Jeep Grand Cherokees. The U.S. Environmental Protection Agency (EPA), U.S. Department of Justice, California Air Resources Board (CARB) and the state of California sued Chrysler by alleging the trucks and SUVs were sold or leased with illegal emissions defeat devices. The 2014-2016 vehicles, equipped with 3-liter EcoDiesel engines, were allegedly sold with emissions control software that causes elevated levels of nitrogen oxide emissions. The devices work to alter emissions controls when a vehicle has its emissions system tested by activating the controls to limit nitrogen oxide emissions. But those controls are reduced or turned off during typical road use, allowing the trucks and SUV to emit illegal levels of pollutants. The government says "auxiliary emission control devices" are legally allowed in some situations, such as during extreme driving conditions that could damage the engines. 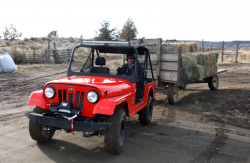 But prosecutors claim this isn't the case with the Rams and Jeeps. Prosecutors say the Clean Air Act mandates an automaker disclose all auxiliary emission control devices and describe how the devices affect emissions. The auxiliary devices are considered legal if an automaker can show evidence the software isn't a "defeat device" to fool emissions tests. 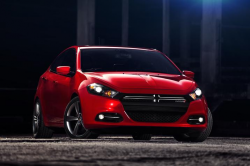 However, the government says Chrysler didn't disclose any of the devices in an attempt to conceal their existence. FCA can thank Volkswagen for all the trouble because it was due to the VW emissions scandal that environmental regulators expanded and updated emissions tests, and those expanded tests found the alleged defeat devices in the Chrysler vehicles. 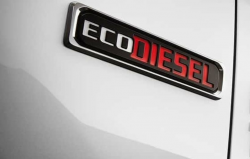 As part of the settlement agreement, FCA will pay a civil penalty of $305 million, recall the EcoDiesel trucks and SUVs and offer an extended warranty on the vehicles once they are repaired. In addition, the automaker must implement a program to mitigate excess pollution from the recalled vehicles. The settlement terms say the cost of the recall and program could reach $185 million and each current and former owner and lessee will be eligible to receive a payment averaging $2,800. The recall repairs have been tested and the new software puts the emissions levels within legal limits. California and the EPA also tested the repairs and determined the vehicles emit the same level of emissions on the road as in the lab. As part of the settlement, FCA must repair at least 85 percent of the trucks and SUVs within two years or get nailed with additional penalties. 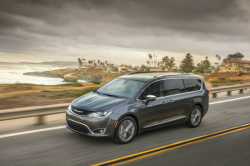 The mitigation program requires Chrysler to work with aftermarket catalytic converter vendors to improve 200,000 converters that will be sold in the 47 states that do not follow strict California regulations for converters. Prosecutors say the catalytic converters will be purchased by truck and SUV owners to replace out-of-warranty converters. FCA will also pay $19 million to California to decrease excess emissions in more than 13,000 vehicles in the state. And another $6 million penalty will be paid to U.S. Customs and Border Protection based on the automaker importing 1,700 illegal vehicles. FCA must also hire an auditor for three years to verify the automaker is following the terms of the settlements, and $72.5 million will be paid to various state attorneys general. All the settlements involve civil penalties, leaving prosecutors open to potential criminal liability claims against FCA. According to Chrysler, the company "did not engage in any deliberate scheme to install defeat devices to cheat emissions tests."